At Sofitel Singapore Sentosa Resort & Spa, world-class sports and recreation are never far away. Our 33-meter pool, lined with gleaming aquamarine tiles, is ideal for a refreshing dip or invigorating swim. The island is home to two world-class golf courses, with the Tanjong Course located adjacent to the hotel. You are five minutes away from the soft sand and calm water of Tanjong Beach, accessible by walking down the cliff’s 132 steps behind the main swimming pool. 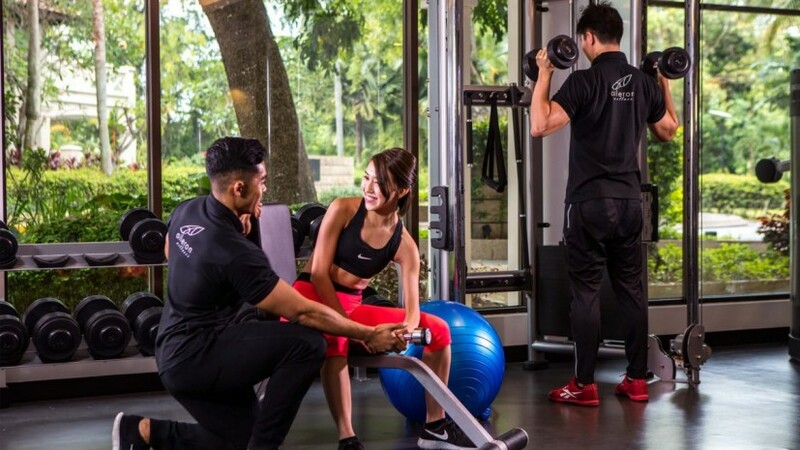 To maintain your exercise routine while on holiday, you are invited to use So FIT, a state-of-the-art indoor gym located on the grounds of So SPA.